The Heritage Center site, known as Duct Island, was transferred to Coquí in late September. Heritage Center is the former K-25 site. “The DOE land transfer to Coquí of 206 acres in the Heritage Center Industrial Park places the company in a strategic location adjacent to federal research assets, Oak Ridge National Laboratory and the Y-12 National Security Complex,” the company said. The project will need to be licensed by the U.S. Nuclear Regulatory Commission. Once it begins operating, the facility will be the first of its kind in the United States, which currently relies on imports to meet its Mo-99 needs, the press release said. The most widely used medical isotope in the world, Mo-99 is relied on to diagnose and treat diseases including brain, heart, lung, liver, renal, oncologic, and muscle skeletal diseases. “Coquí is best positioned to meet the demand for lifesaving medical isotopes because our technology is commercially proven and is used in the current supply chain,” Bigles said in the press release. The design of Coquí’s facility is being led by INVAP, the world’s leading designer and developer of medical isotope production facilities. Coquí has an exclusive license with INVAP to use its technology in the United States. In the press release, Bigles said the land acquisition provides many advantages. The press release said DOE has provided further support for the Coquí facility through research funding. These funds support Coquí’s partnership with ORNL and Y-12 to conduct further research on Mo-99 target plate fabrication and qualification. Coquí’s decision to locate its production facility in Oak Ridge makes its collaboration with ORNL and Y-12 easier and more efficient, the press release said. At one time, the company had planned a $330 million medical isotope production facility in Alachua, near Gainesville, Florida. But a Florida newspaper, the Gainesville Sun, reported in October 2016 that Coquí would build the manufacturing facility in Oak Ridge, rather than relocating to Alachua in part because of the DOE land and the opportunity to work with Oak Ridge National Laboratory. There has been a continued emphasis among federal officials, including during recent congressional budget hearings, on being able to produce Mo-99 in the United States. 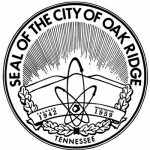 Officials advocating for the proposed Oak Ridge Airport at the Heritage Center have cited Coquí and its need to fly out short-lived medical isotopes as one reason to build the airport in west Oak Ridge.